Are you someone who thinks milk is just for breakfast? 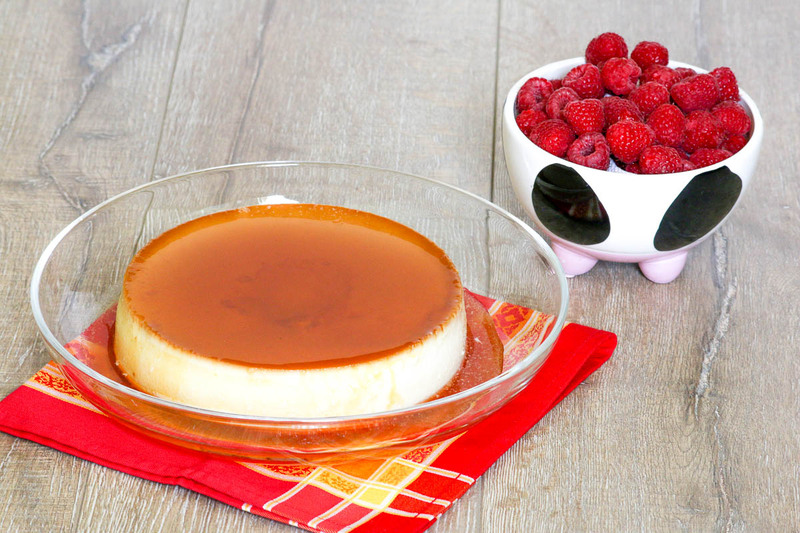 Well, sit back and enjoy this ride because not only will you get an amazing recipe for Coconut Flan, you will also learn why this is not the case. I am very fortunate to live in Florida where we have over 100 dairy farmers who work diligently to ensure that we have top quality Florida Milk fresh from the farm to our tables. Can you guess how many cows it takes to get over 270 million gallons of fresh milk every year? How does 120,000 dairy cows sound to you? find that very impressive. You can mooooooove on over and check out their cows here. The dedication of our Florida Dairy Farmers is unwavering. Cows do not take holidays or vacations. They are milked 365 days of the year, rain or shine. I learned so much about Florida Dairy Farmers at the Food Wine Conference. For example, we are all concerned about antibiotics in our milk. Cows are just like us in that they sometimes get sick and need medical care. Any cow that receives medicine to aid in a speedy recovery are removed from the healthy herd and won’t rejoin it until their milk tests free of antibiotics. Milk that tests positive for antibiotics is not permitted in the food supply and is immediately discarded. That’s what I call great news. You can learn more about Florida Dairy Famers here. 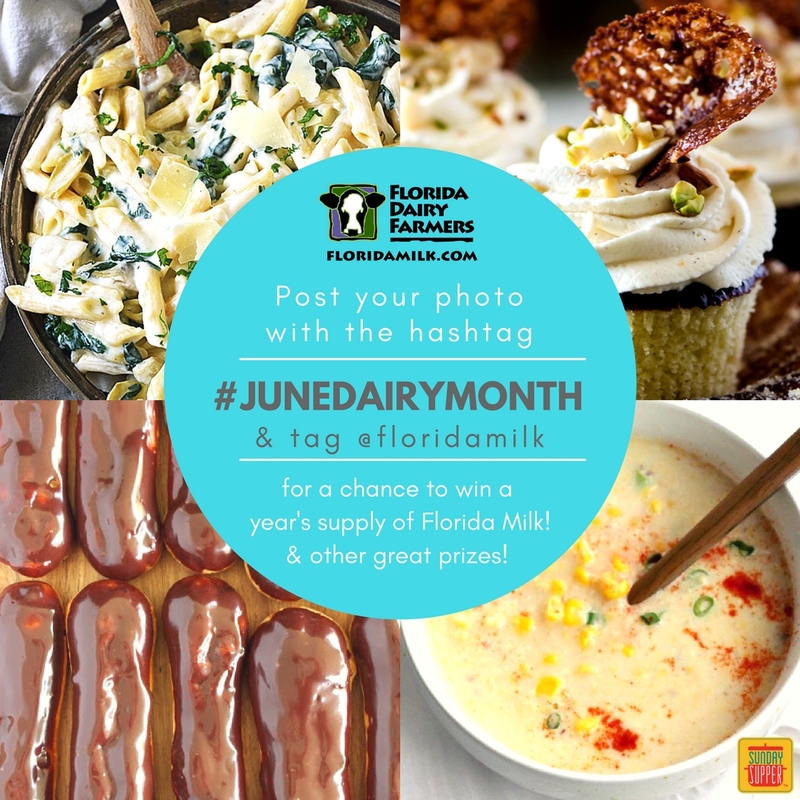 The fab news just keeps coming because my Sunday Supper Movement family is celebrating June Dairy Month in a big way. We are all highlighting the many ways that Florida Milk works so well from breakfast through dessert. I grew up with Nana’s Rice Pudding that includes a quart of whole milk so from my earliest of days, I knew how fabulous milk is in dessert. When my brother showed us how brilliant he is by marrying my sister-in-law, I learned about another dreamy way of baking with milk; Flan. You see, Millie’s family is Cuban and flan is a traditional Cuban dessert. Coconut Flan is an itty bitty twist on the classic. 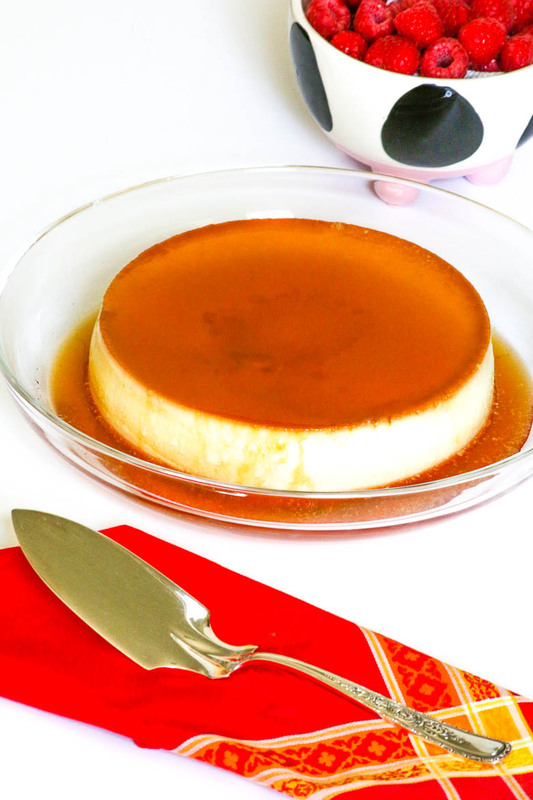 It’s still creamy with a decadent caramel topping like flan but Coconut Flan has a wonderful layer of unsweetened (desiccated) coconut. You will dream of this dessert. Be sure to use sweetened coconut flakes. Unsweetened coconut flakes will not work and your caramel topping will be cracked. Set aside a flan pan. Place the sugar in a small sauté pan. Cook over medium low heat until the sugar caramelizes, stirring periodically. Nothing will happen for about 7-10 minutes, then the sugar will harden into little balls until it very quickly caramelizes. 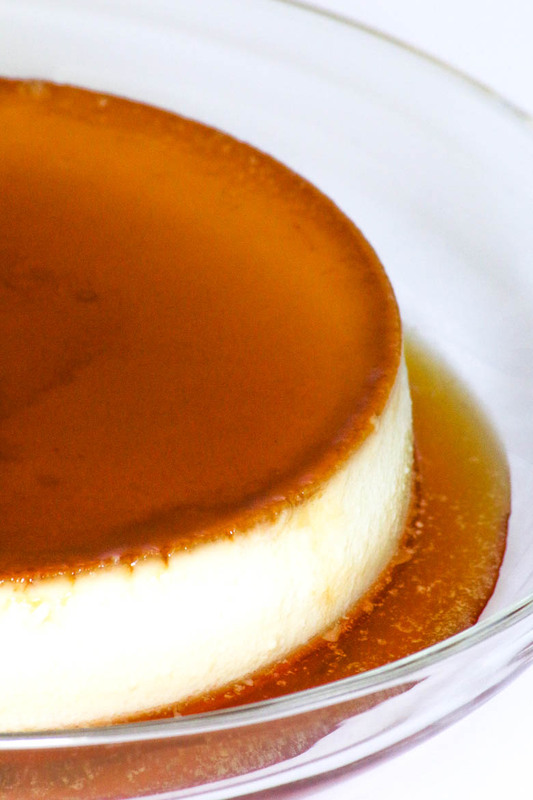 Immediately pour the caramel into the flan pan. Swirl the caramel on the bottom and up ¾ of the side of the pan. Be careful, as it is very hot at this point. Set aside and cool completely. Whisk the eggs in a medium size bowl. Whisk in the sweetened condensed milk followed by the whole milk and vanilla. Stir in the coconut flakes. Lifting by the string, place the flan pan into a larger pan and pour warm water into the pan until the water is halfway up the flan pan. Keep the bow of the twine out of the water to avoid burning when removing. Bake in 350° oven for 1 hour. Using pot holders, hold the twine to lift the flan pan out of the water. 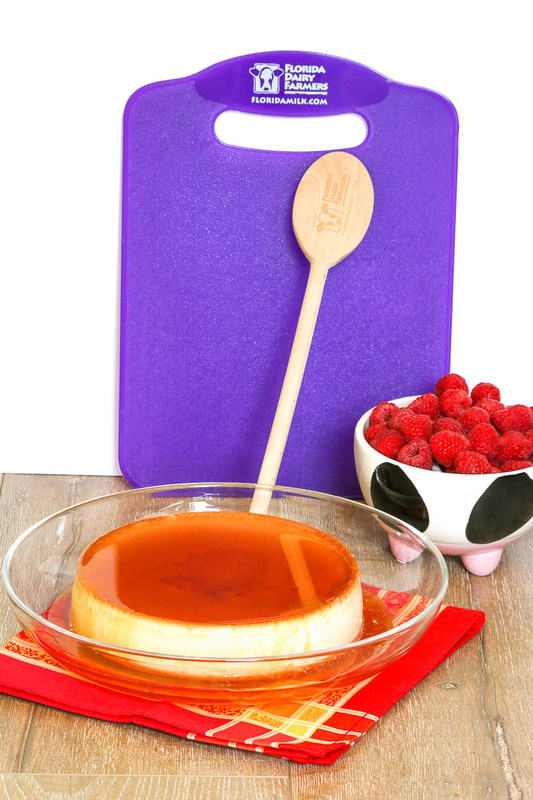 Place the flan pan onto a dishtowel to dry off the bottom and then use pot holders to transfer the pan to a cooling rack. Cool completely on cooling rack. Cover and refrigerate overnight. Just before serving, lift off top and run a small spatula around the side of the flan. Place a serving plate (use one with a lip) over the top of flan, turn over and shake the flan out of the pan. Remove the pan and allow the caramel to drip over the flan. Slice and serve. Additional time is needed to cool the caramel. Check out more milk recipes on the Florida Dairy Farmers recipe page. While you’re thinking of it, be sure to follow Florida Dairy Farmers on social media. Now it’s time to see what delicious Florida Milk recipes my fellow Sunday Supper Family made.